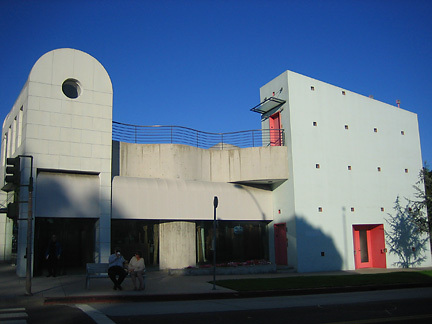 By turns magical, moving, and magnificent, Santa Monica exemplifies the outsized and over the top sensibility Los Angeles is known for. However, this beach town also holds quiet gems often discovered by happenstance. Join me for a magical, mufti-faceted look at the ebb and flow of this “home of the California beach lifestyle”. Organic meets geometric, creating magic in concrete forms. 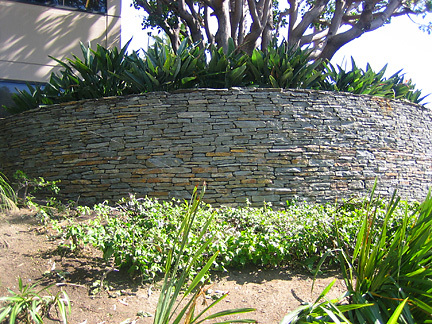 A magical curvilinear wall of stones stands in front of Santa Monica’s Yahoo Center. 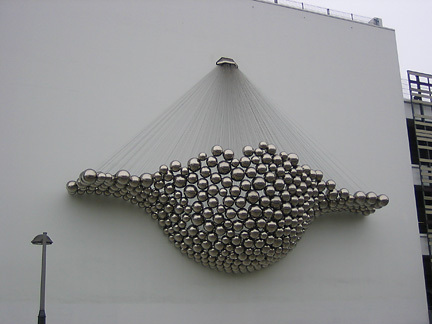 An over-sized exterior sculpture bubbles out from the side of a building, adding a bit of magic to the urban landscape. 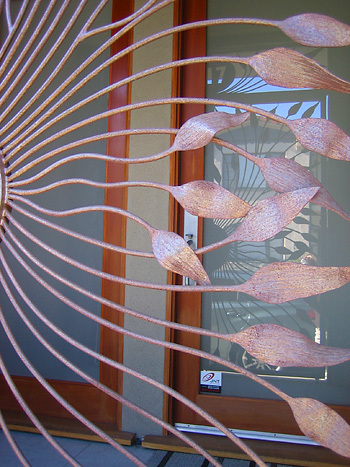 A flowing window grate creates artful protection, as well as magical beauty. 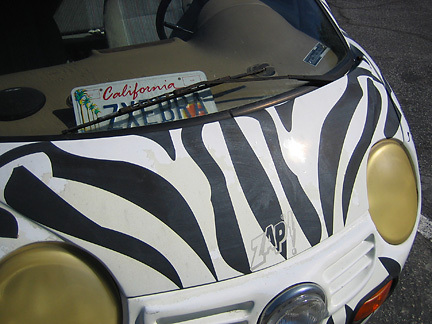 The Zebra car plugs in…stay tuned for another post devoted to this magical car. 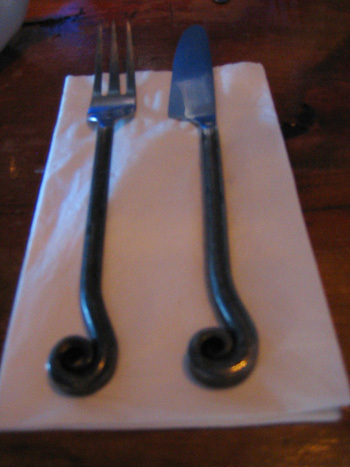 Madame Chou Chou bistro and patisserie on Main Street, offers spiral magic with its cutlery, as if the delightful patisseries weren’t enough! What magical convex, concave and curvilinear sights have You seen lately? Remember, we are all in the ebb and flow of this magical thing called Life, together. Wishing You a magical holiday filled with a heightened awareness of the extraordinary all around us.